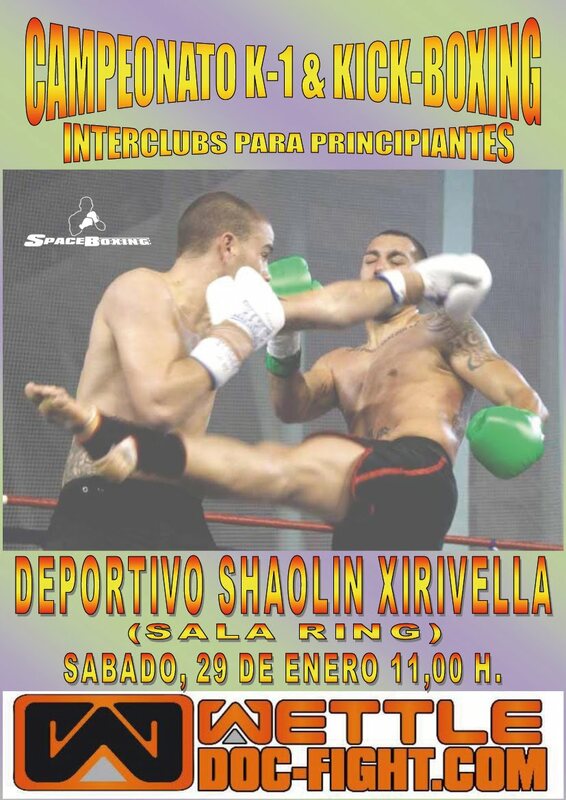 EL AYUNTAMIENTO DE XIRIVELLA CELEBRÓ UN ACTO MUY EMOTIVO EL DIA 20 DE ENERO DEL PRESENTE AL REALIZAR UN HOMENAJE AL DEPORTIVO SHAOLIN, INSIGNE GIMNASIO DE ESTA LOCALIDAD, Y MUY CONOCIDO POR SUS INUMERABLES TRIUNFOS A NIVEL NACIONAL E INTERNACIONAL EN TODAS SUS MODALIDADES DEPORTIVAS ( KARATE , BOXEO, KICK-BOXING , ETC. ) . EL MOTIVO DEL MISMO FUE LA CONSECUCION DE 10 MEDALLAS ( DE LOS 11 COMPETIDORES SELECCIONADOS EN EL EQUIPO NACIONAL ) EN EL CAMPEONATO MUNDIAL DE KICK-BOXING CELEBRADO EN NOVIEMBRE DEL 2010 ( 3 OROS, 2 PLATAS Y 5 BRONCES ), UN ÉXITO SIN PRECEDENTES EN UN CAMPEONATO MUNDIAL CON MAS DE 2000 COMPETIDORES VENIDOS DE 58 PAISES. ASISTIERON AL ACTO LAS PERSONALIDADES DEL AYUNTAMIENTO DE XIRIVELLA A LOS CUALES QUIERO AGRADECER DE TODO CORAZÓN SU ASISTENCIA A ESTE IMPORTANTE ACTO, A LOS CONCEJALES ENRIQUE ORTI, FRANCISCO AGUILAR, FINA COTINO, TRINIDAD MARTINEZ, A LA CONCEJALA DE JUVENTUD Y DEPORTES AMPARO ALDALID Y AL TENIENTE ALCALDE JOAN ANTONI PEREZ. LOS HOMENAJEADOS FUERON LOS COMPETIDORES QUE CONSIGUIERON ESTOS EXCELENTES RESULTADOS ESTEBAN SOTO, ATANAS YOSIFOV, IVÁN LÓPEZ, RUBEN GUILLEM, YUSEF SORIANO, JOSE ANGEL GARCIA, DAVID DE DIOS, FRANCISCO FERRIS, ANCA FLORENTINA, CONSTAN RODRIGUEZ Y JOSE LUIS SANCHEZ. QUE ESTABAN MUY EMOCIONADOS AL RECIBIR DE LAS PERSONALIDADES ASISTENTES UNOS FORMIDABLES TROFEOS Y UNOS DIPLOMAS EN AGRADECIMIENTO POR EL ESFUERZO REALIZADO PARA CONSEGUIR ESTOS IMPRESIONANTES RESULTADOS . Y POR ULTIMO A SU MAESTRO JOSE LUIS PEPIOL FRANCES QUE CON MAS DE 30 AÑOS IMPARTIENDO SUS ENSEÑANZAS CONSIGUE EXCELENTES CAMPEONES Y EXCELENTES PERSONAS DENTRO Y FUERA DEL RING. 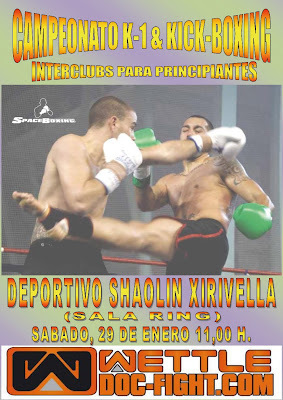 SE CELEBRARA COMO VIENE SIENDO HABITUAL (TODOS LOS MESES) DESDE HACE 2 TEMPORADAS, EL CAMPEONATO DE K-1 Y KICK-BOXING INTERCLUB PARA PRINCIPIANTES EN EL DEPORTIVO SHAOLIN DE XIRIVELLA (VALENCIA) EN LA SALA RING, HABILITADA PARA TALES ENCUENTROS, EL SÁBADO DÍA 29 DE ENERO A LAS 11 HORAS (PESAJE DE 10 A 10:30). PARA COMENZAR EN PUNTO. ESPERAMOS VER BUENOS COMBATES COMO NOS TIENEN ACOSTUMBRADOS, Y ASÍ ESTOS COMPETIDORES VAYAN SUBIENDO EL NIVEL DE COMPETICIÓN HASTA QUE LLEGUEN A SER VERDADEROS CAMPEONES. GRACIAS AL MAESTRO JOSÉ LUIS PEPIOL FRANCÉS, POR FOMENTAR MES TRAS MES CON ESTOS ENCUENTROS EL NIVEL DE LOS COMPETIDORES.